A ragged football and Chinese rubber trainers. This is how my childhood looked like. I still remember my mum’s facial expression when I was going back home with ripped off shoes only a week after she bought them. Me and my mates used to play on bumpy concrete and use our neighbours’ garage doors for goals. I perceived playing on an artificial pitch as luxury and tend to trust that it takes away the fun and creativity of the game compared to the crazy street matches. I just loved to play football by my own rules like most of my friends. Undoubtfully, this helped me to experience the real face of the game! Did this help me to become a football player? Definitely not! Did this help me to attain the right understanding and have the right sense about the game? 100% yes! When I got into secondary school, my parents were already tired of neighbours’ complaints about broken windows and damaged walls. I was one of the rebellious ones (always on the street, always playing). I could not even watch a football game. When I saw a ball, I just wanted to start playing with it. After long debates, my family gave me the green light to start playing organized and competitive football. Unfortunately, it did not work out well for me during the first few years. I was terrible in obeying rules and was so fed up with all the drills that we had to do. The high school period was very rewarding for me in terms of football and personal insights. I realized that I missed a lot of FUNDAMENTALS, which set barriers to my further development as a player. Although, by the age of 16, I was already playing for the youths of one of the most successful teams in Bulgaria and had a contract with the biggest football transfer agency in the region. I started dreaming, I started making arrangements. Unexpectedly, I left the team a few months before my high school graduation. I could not imagine my life without football, so I was convinced to pursue my passion one way or another. One week later, I was filling in an application to start a Bachelor’s Degree of Sport Management in the UK. Since then, I have stopped making plans and started to work day by day for my LUCK. After I had the chance to participate in the first few Stadium Operations lectures organized by ESSMA for the FBA candidates, I realized that this is my LUCK. This was the moment when I felt the same way as when I saw The FBA master’s course while scanning through Google. Out of a sudden, I talked to Kristian and in a few days the internship was all set. Why did I take the chance to become an ESSMA trainee? I spotted opportunity. I knew that the contacts, knowledge and insights acquired throughout this internship would be extremely beneficial if I wanted to go back and work in my country. Why would I do that? Let’s build the future of football together, sounds familiar? Everyone interprets this motto differently. For me, the future is in my country, proving that football is more than 22 athletes running after a leather ball. I have been interning for ESSMA for the past two months or so and I have been assigned to several tasks. My current position is to make input towards the update of ESSMA’s Stadium database for regions affiliated to Europe, as well as to support the activities of other members upon request. In addition, I have to provide overviews on the most recent trends and innovations within the scope of the six ESSMA expert areas. By doing so, I can expand my knowledge not only in stadium related matters, but to get familiar with ESSMA’s internal operations. The content presented during the Stadium Operations lectures was enough to understand what is going on with numerous stadium development projects internationally, while my job responsibilities at the moment are allowing me to obtain comprehensive insights on the ‘How’ and ‘Why’ of these projects. As a keen supporter of CSR initiatives, and building sustainable football infrastructure, I have all the resources available to leave the office with new finds in these areas at the end of the day. These topics are FUNDAMENTALS! Questions such as ‘Where do the biggest talents start from? Where do footballers showcase their skills and talent? Where is the love and commitment towards a certain football team passed from generation to generation?’ make me realize the significance of developing stadium projects. Last, but not least, is the environment. I have the chance to work in a very professional atmosphere, surrounded by people with profound expertise, serious attitude towards the working process and readiness to help. This encourages me to push my limits further and constantly challenge myself. I remember myself entering the office on the first day of the internship and my reaction. How am I going to stay still for eight hours, was the first question. Trust me, when you enjoy what you do and commit 100% of your attention, the time flies incredibly fast! 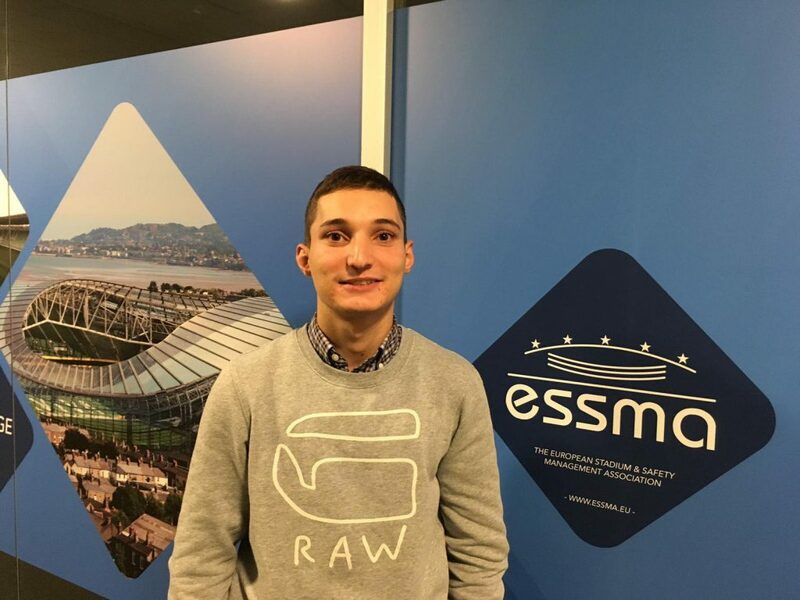 I would not say it is the astonishing experience or the job that you watched on the football movies, but if you want to immerse yourself into the world of Stadium Operations and grant good positions for your future career, ESSMA is the place to be. 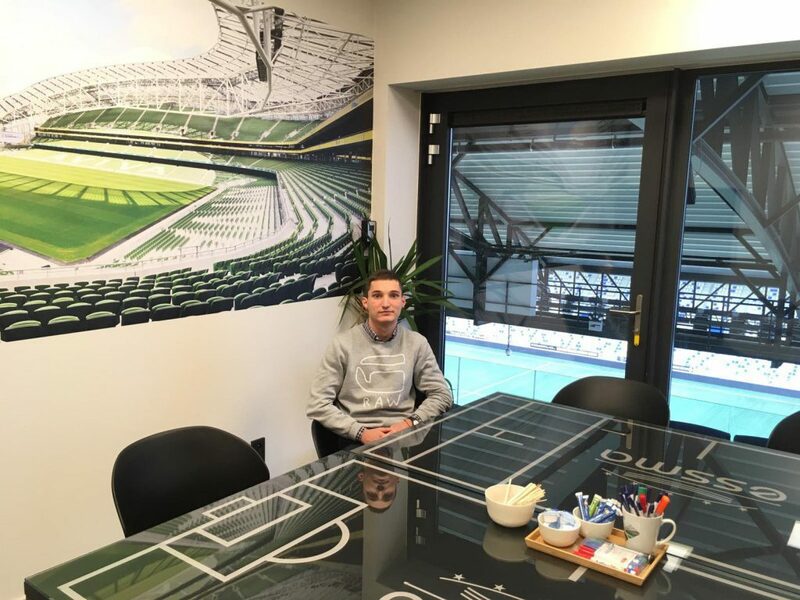 Konstantin Pashev is a Candidate of The FBA’s Professional Master in Football Business 2nd Edition, expected to graduate in March 2019. He can be contacted via LinkedIn.